Oregon abounds with clever people making all sorts of things. One of the things these busy beavers are making, which seems to generate a lot of interest, is beverages containing alcohol. 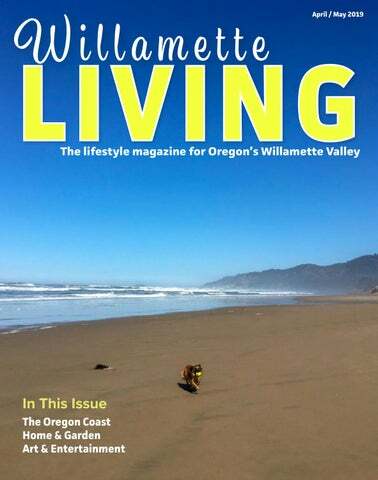 We were going to call this section “Meet The Vintner” — being in the heart of Oregon’s wine country and all, but then we remembered cider and spirits, and cheese, and furniture, and chocolates, berries, airplane parts — the list goes on. So, “Meet Your Maker” it is. First up is Dawson Officer and company at 4 Spirits Distillery in South Corvallis. The name 4 Spirits is a tribute to four fallen soldiers Dawson served with in Iraq. The proud military theme runs through the heart of the entire operation. Dawson is a “local boy” and a product of our military and wants to honor the service of the brave young men he served with, who didn’t come home. He’s doing them proud. Either Dawson’s parents did a good job, or the U.S. Military did – we suspect both had something to do with the bootstrapping go-getter we spoke with at the distillery. Clearly, not one who takes no for an answer, he built the business with hard work and ingenuity. Dawson’s new facility was a family affair, built with the assistance of his General Contractor brother, and the rest of his family. He learned to distill spirits by doing. He has a hand in label design for his products. He clearly takes pride in things right down to the appetizer menu for happy hour. He’s hands-on for sure. The new distillery/eatery is in South Corvallis in a location pioneered by Dawson. At his encouragement, another local maker moved right next door – Block 15 Brewing. Together they make up the “anchor tenants” of an up and coming Southtown hotspot. The property is perfect for their vision — lots of open spaces to gaze upon while sampling great food and drink, plenty of parking, no hassle to get there. 4 Spirits is expanding their offerings from the still, and they are expanding the business geographically. They have a great product, and a great team — they are poised for great success. If you’re looking for a place to spend a little time at-ease, post up at 4 Spirits for a burger and sip of Dawson’s fine spirits. You have your orders.